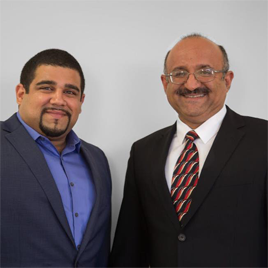 J.P. was inspired by his father, Al Moridi, who began his own real estate career in 1988. He watched his father work tirelessly to build an impressive reputation as one of the most trusted and successful realtors in California, instilling strong ideals that taught him as long as he took care of people and looked out for their best interests, he would always be successful. With this as a guiding principle, J.P. has proven himself as a hard working professional with a proven track record for success. In his first year alone, he sold thirty-one properties, and was named rookie of the year by his brokerage at the time, Intero Real Estate Services. He was interviewed by Forbes Magazine in 2015 at the prestigious Under 30 Summit, and has since been honored with an Chairman’s circle Award for achieving sales in the top one percentile nationally. Staying positive, helping others and living true to his standards, J.P. stands out among realtors for his strong family values, affable personality, positive energy, compassion and empathy. Always willing to lend a hand, J.P. is much more than a Realtor, he is a partner in success, as much for his family as he is for his clientele. He is ambitious, energetic, knowledgeable and trustworthy, and plans to remain in the top one percentile in the world for realtors. He is an active member of his community, as well as a volunteer and contributor to the American Cancer Society. When he isn’t out selling Silicon Valley and its environs, you might find him golfing, exercising, traveling or spending time with his wife and two children, secure in the knowledge that all the hard work and long hours have paid off.